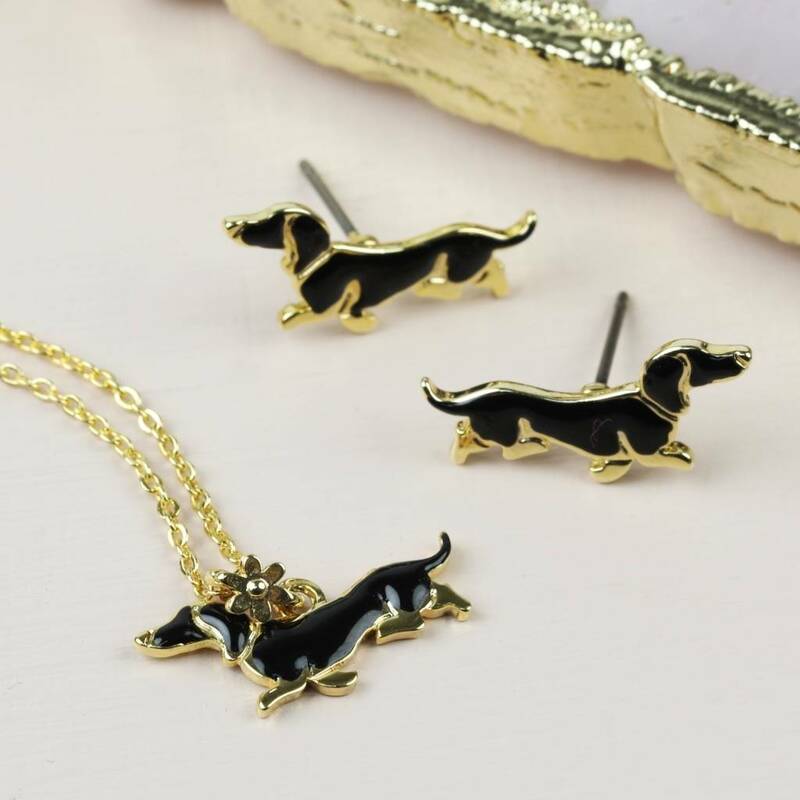 These adorable sausage dog pieces are the perfect accessories for any dog fan. 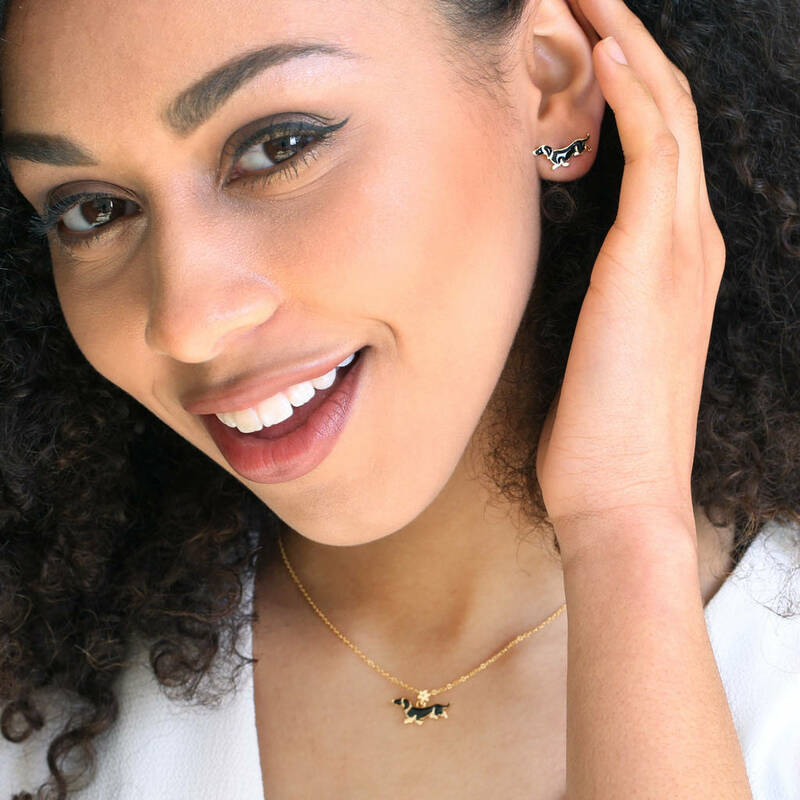 With long bodies and little legs, these stud earrings and matching pendant necklace perfectly represent all things dachshund. Both pieces are created from 18ct gold plated brass with black enamel detailing. 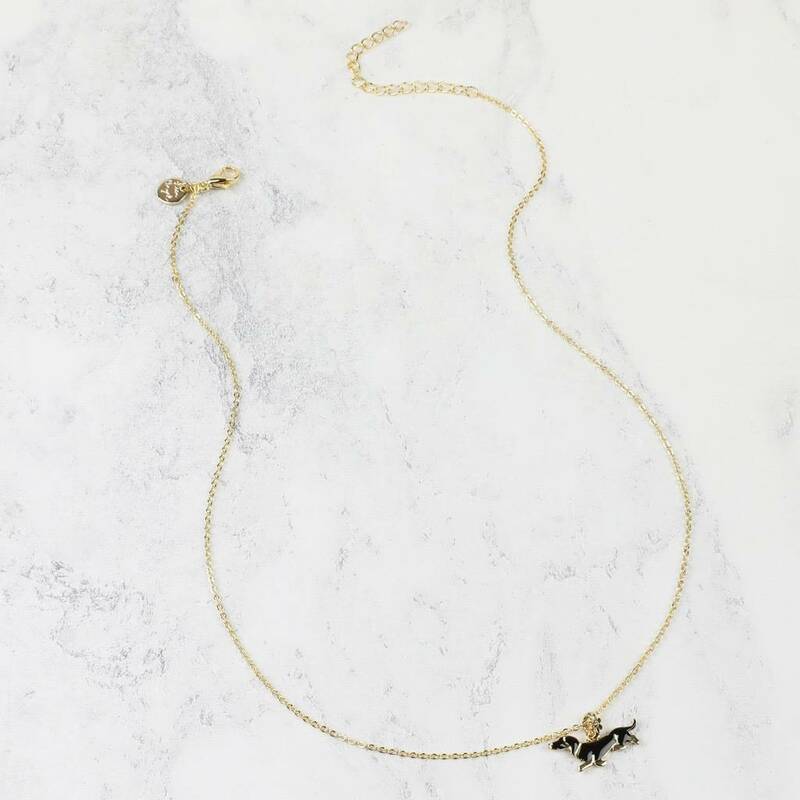 The pendant is suspended from a trace chain (with extender chain) and can be attached by the lobster clasp. It features a black and gold sausage dog with connecting flower. The matching sausage dog earrings use titanium posts and are fastened with butterfly backs for everyday use. This cute jewellery set is an ideal gift for any animal lover and injects fun into any outfit.